Cities across the country are striving to check pollution levels every day. Delhi has introduced CNG autos and buses which have brought down emission rates considerably. Chandigarh has always been known as a clean and green city, but of late increase in city traffic has taken its toll. Eco Cabs is a newly launched transportation system that aims at reducing pollution levels in the city and promotes eco-friendly travel.This new-found public transport service has special rickshaws which race through city roads, helping passengers reach their respective destination without adding to the carbon content of the atmosphere. The specially designed rickshaws can be booked over the telephone. You may enjoy the FM radio while travelling in these customer-friendly rickshaws, which also provides seat belts to ensure passenger safety. The safety belt can be used to hold your luggage or ensure your kids' safety while sitting on the hind side of the rickshaw. These are not the only features that make it special, newspapers, a tourist map of the city, and a popular magazine are also available on payment. Navdeep Asija, founder, introduced Eco Cabs in Fazilka couple of years ago. Being the first of its kind in the country, the innovative venture has been well received by commuters. Excited about the project in Chandigarh, Asija told Guardian20, "Besides Fazilka, we have successfully tried the model in 22 other cities in Punjab and are doing pretty well there. These are special rickshaws and are driven by fully trained people as per the city map and because of the rigorous training, which relieves you of the haunting idea of hiring a special guide." Alike other existing modes of cab services in the region which are available at a fixed per/km fare, these eco cabs will also run in the similar fashion. The additional feature for tourists is that they can hire the cab on a per-day package as per convenience. Elaborating on how one can use the services, Asija further added, "We are going by contemporary ways and means to enhance accessibility, quality and comfort of using the cab service. We have put in place an advanced call system and the service is also available on android based smart phones, as an app. This is the first big step aimed at reducing the air pollution level caused due to the density of private vehicles plying on the city roads." To make it a truly safe journey, each and every eco cab and its driver will be registered under the norms put in place by the Chandigarh Administration. Progressive farm woman Karamjeet K Danewalia, alias, Kinnow Queen, from Danewala village of Fazilka district in Punjab has been appointed as non-official member of the management board of Punjab Agricultural University (PAU) for a term of three years as informed by a release on Wednesday. Giving information, PK Khanna, PAU registrar, said: "Danewalia has been appointed in category of progressive farmwoman following the approval by Punjab governor Shivraj Patil. A successful kinnow grower, Danewalia has made tremendous contribution to horticulture." She has been credited of creating a world record production of 132.2 tonnes of kinnow in one hectare in 2001. Hailing from an agriculturist family, Danewalia has been growing kinnow mandarin for the past 35 years. Her excellence in kinnow cultivation has earned her a title "Kinnow Queen." She went to California, the US, to learn about the improved techniques of kinnow processing and packaging. Besides, she is apt in making phulkaris, knitting rugs, and spinning wheel. The lady farmer is the active campaigner against social vices like female feticide. Danewalia is recipient of Sardarni Jagbir Kaur Memorial Innovative Woman Farmer Award 2012; Champion Female Farmer Award 2012; Best Kinnow Grower of Punjab 2012; and Award of Honour (progressive women farmer), presented to her by Punjab chief minister Prakash Singh Badal. In addition, she has won several prizes at the state and district level citrus shows. CHANDIGARH: From June, cycle rickshaws, named as eco-cabs, will be just a phone call away in the city. All you will have to do is use an Android application on your smart phone to avail the service. Whats more, you can even rate your favourite rickshaw puller. A website for the eco-cabs project will be launched on Friday, while the facility launched first in the Punjab town of Fazilka -- will be available from next month. Once a database of rickshaw pullers is ready, residents will be able to use the mobile application to call them. The Municipal Corporation will oversee the project. It has already prepared a list of 169 rickshaw stands, from where the facility will be offered. 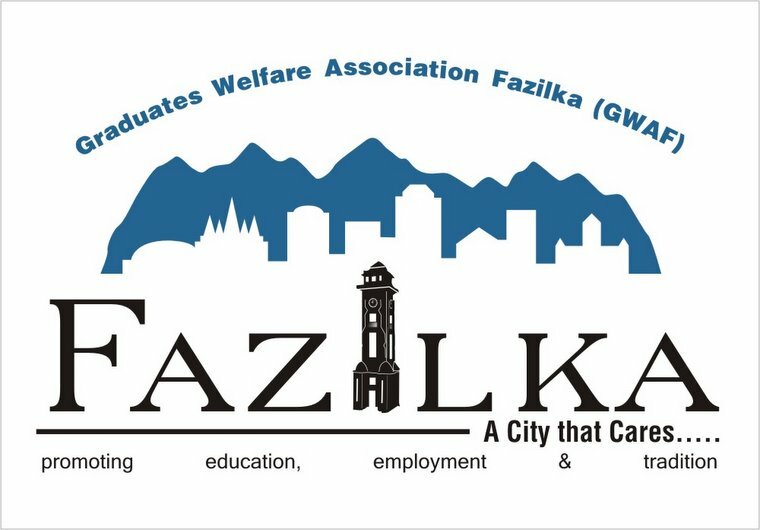 Unlike the system in Fazilka that uses a call centre, the mobile application and website will be the interface to bring together the passenger and rickshaw puller. Given the large number of rickshaws in the city, preparation of the database will take some time, said a spokesperson of the eco-cab campaign. Given the large number of rickshaws in the city, preparation of the database will take some time. Once it is ready, people can have option of several rickshaws available on call. Besides, there will be the option of choosing quality services that have been given good reviews by other users, said a spokesperson of the eco-cab campaign. The system will encourage use of environment-friendly system of commuting in the city, which has the distinction of having the highest number of cars per person in the country. A lot of people want to travel in rickshaws but it is difficult to locate one in vicinity of residential areas. Getting in direct touch with rickshaw pullers who will be provided mobile phones will solve the problem, the spokesman added. CHANDIGARH: Pedestrians are not safe while walking on the city roads. And unlike other cities, chances of their being hit by vehicles are more while they are walking on or crossing roads rather than when they are at intersections and roundabouts where traffic tends to slow down. A 'Chandigarh Road Crash Analysis' conducted by Navdeep Asija, research scholar, department of civil engineering, IIT, shows that 32.35% of those who lost their lives in road accidents in 2012 were pedestrians. But while cyclists have higher likelihood to get killed at intersections, pedestrians seem to be more vulnerable mid-block (that is, while walking on or crossing a road) due to missing footpaths and zebra crossings. As many as 44% of pedestrians died while walking on the city roads. "It is primarily due to engineering faults such as discontinuous footpaths. But the blame is limited to enforcement agencies, like traffic police. Footpaths are missing on most of the stretches or these are not well lit to encourage people to walk around in their sector in the evening. This is against the concept of pedestrianism propounded by Le Corbusier in the concept plan for the city," said Asija. About 88% of the cyclists were involved in fatal crashes at intersections. Slow-moving vehicles, like cycle rickshaw and auto rickshaw, too were found to be more prone to accidents at intersections, says the survey report. Urban planning department has finalized a plan to promote walking among residents. For this, it has been proposed that widening of roads at the cost of pedestrian paths be discontinued. Besides, pedestrian concept should not be disturbed for creating more parking spaces. Policies will be worked out which encourage walking habits. Chandigarh should revert back to pedestrian concept, it has been mooted .